Owing to vast expertise, we, P. R. K. Engineering Works, have become one of the leading manufacturers, suppliers and service providers of the same. Our comprehensive range of products includes Sheet Metal Components, Sheet Metal Products, Sheet Metal Parts, Electrical & Electronic Enclosures. The whole process of manufacturing is done under strict surveillance of quality experts and supervisors, who ensure that the quality of products manufactured is maintained. We also have state-of-the-art infrastructure, with the latest machinery and large warehousing facility that ensures we are capable to meet bulk market demands. Hi-tech machines help us to manufacture flawless products at a competitive price. All this has garnered us complete client satisfaction. Establishing systems and working standards to achieve zero defects and commit total customer satisfaction. 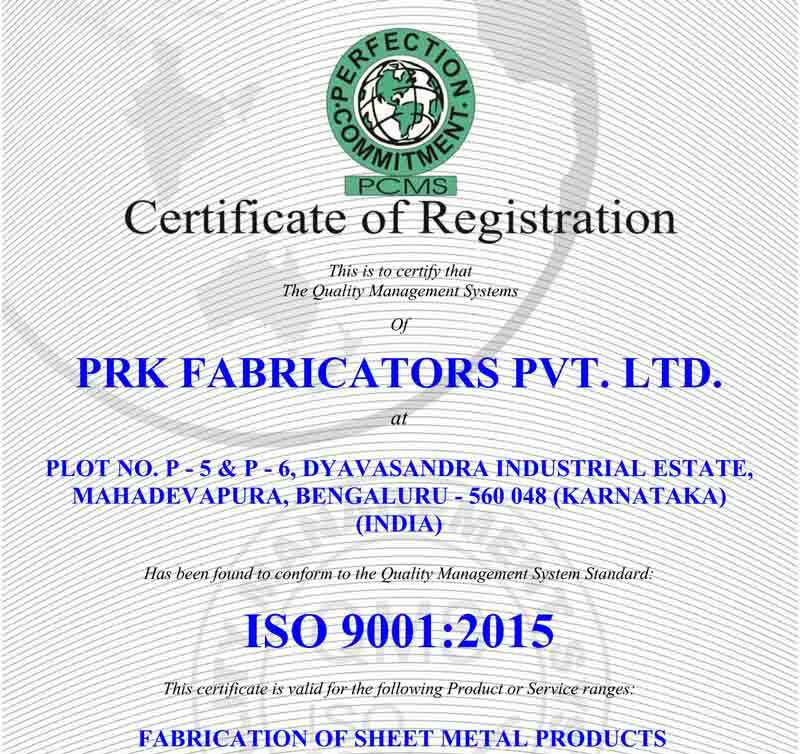 PRK FABRICATORS PVT LTD initially started as PRK ENGINEERING WORKS in the year 1989, was established as a PVT LTD company in the year 2013 and one of the best quality leading fabricators of sheet metal and stainless steels components required for food processing, tyre building machinery for national and multinational companies . Our product range includes fabrication of any type of sheet metal components. Ever since the establishment of our company, we have been satisfying the needs of the number of national & multinational companies for their sheet metal requirement. At PRK FABRICATORS PVT LTD, We are known for the quality performance, prompt delivery of our products. We have the requisite state of the art infrastructure to manufacture high-quality sheet metal components as per the customer satisfaction & drawings. 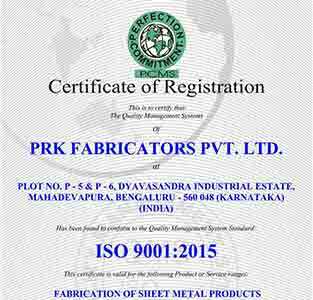 A team of qualified engineers & skilled technicians committed to quality standards manages PRK FABRICATORS. Our team of quality check inspectors, maintain a strict vigil of the entire production process.